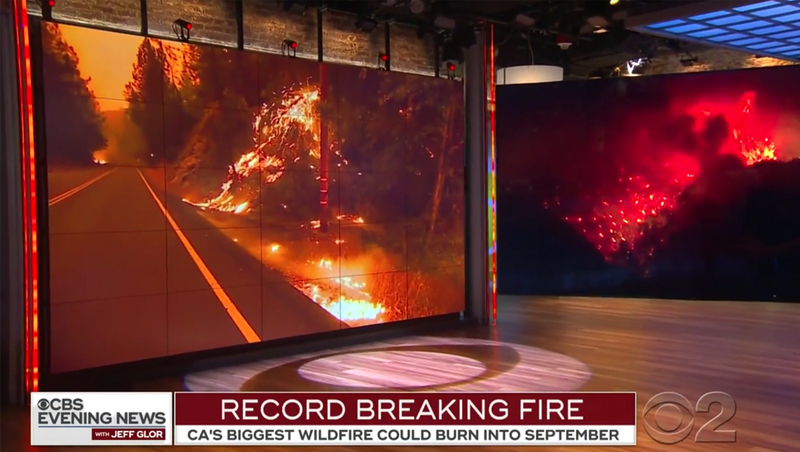 The “CBS Evening News” heated things up with an impressive studio shot of the Mendocino Complex Fires that combined a video wall and panel. 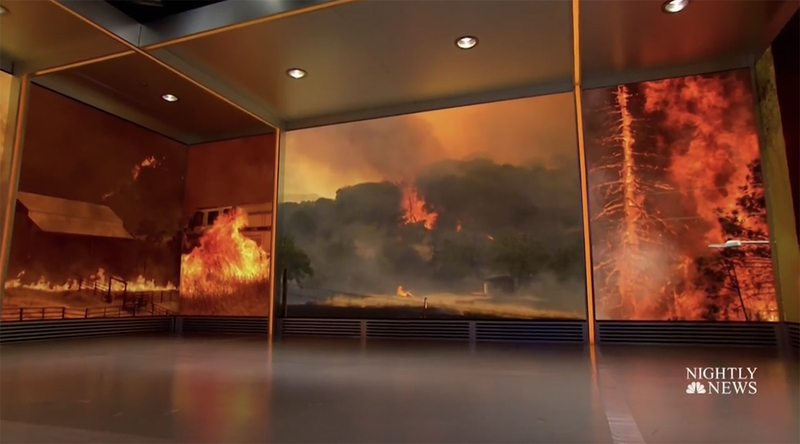 On its Tuesday, Aug. 7, 2018, edition, the broadcast used its large in-studio video wall to showcase dramatic footage of the blaze. One clever detail, however, was changing the narrow strips on either side of the video wall to glowing, pulsating oranges, yellows and whites. The shot then slowly zoomed out, showing an additional fire clip on one of the studio’s pole mounted video panels, flipped to landscape orientation for this use. 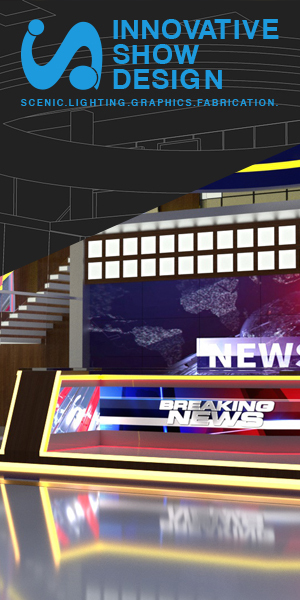 The concept is similar to the look “NBC Nightly News” used with its video wall alcove as part of a series of on air tweaks the broadcast has been experimenting with.